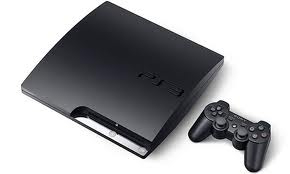 On September 15, 2011, Sony Network Entertainment America Inc. ("SNEA") will transfer its online services operations, including your wallet and the funds in it, to Sony Network Entertainment International LLC ("SNEI"). If you have any questions or wish to terminate your account, please contact Customer Service by clicking here. 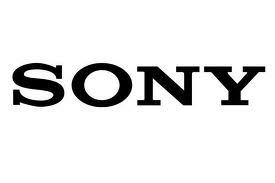 With Sony Entertainment Network we are establishing a comprehensive and global network platform which offers access to entertainment, commerce, and community, all from one convenient account. For more information please visit www.SonyEntertainmentNetwork.com where you will learn more about our music service, Music Unlimited, and our video offerings on Video Unlimited. The services you have come to know on your PlayStation systems will remain the same in terms of functionality, pricing and content - with some enhancements. We continue to grow both Music Unlimited and Video Unlimited services, as well as the entire Sony Entertainment Network platform by adding more content and advancing the functionality to bring you the best of digital entertainment across the globe. Thank you very much for being a customer! THIS AGREEMENT CONTAINS A BINDING INDIVIDUAL ARBITRATION AND CLASS ACTION WAIVER PROVISION IN SECTION 15 THAT AFFECTS YOUR RIGHTS UNDER THIS AGREEMENT AND WITH RESPECT TO ANY "DISPUTE" (AS DEFINED BELOW) BETWEEN YOU AND SNEI, SONY COMPUTER ENTERTAINMENT INC., SONY COMPUTER ENTERTAINMENT AMERICA LLC, THEIR AFFILIATES, PARENTS OR SUBSIDIARIES ( ALL ENTITIES COLLECTIVELY REFERRED TO BELOW AS "SONY ENTITIES" ). YOU HAVE A RIGHT TO OPT OUT OF THE BINDING ARBITRATION AND CLASS ACTION WAIVER PROVISIONS AS FURTHER DESCRIBED IN SECTION 15." Purpose. The term "Dispute" means any dispute, claim, or controversy between you and any Sony Entity regarding any Sony Online Services or the use of any devices sold by a Sony Entity to access Sony Online Services, whether based in contract, statute, regulation, ordinance, tort (including, but not limited to, fraud, misrepresentation, fraudulent inducement, or negligence), or any other legal or equitable theory, and includes the validity, enforceability or scope of this Section 15 (with the exception of the enforceability of the Class Action Waiver clause below). "Dispute" is to be given the broadest possible meaning that will be enforced. If you have a Dispute with any Sony Entity or any of a Sony Entity's officers, directors, employees and agents that cannot be resolved through negotiation within the time frame described in the "Notice of Dispute" clause below. Other than those matters listed in the Exclusions from Arbitration clause, you and the Sony Entity that you have a Dispute with agree to seek resolution of the Dispute only through arbitration of that Dispute in accordance with the terms of this Section 15, and not litigate any Dispute in court. Arbitration means that the Dispute will be resolved by a neutral arbitrator instead of in a court by a judge or jury. Exclusions from Arbitration. YOU AND THE SONY ENTITIES AGREE THAT ANY CLAIM FILED BY YOU OR BY A SONY ENTITY IN SMALL CLAIMS COURT ARE NOT SUBJECT TO THE ARBITRATION TERMS CONTAINED IN THIS SECTION 15. RIGHT TO OPT OUT OF BINDING ARBITRATION AND CLASS ACTION WAIVER WITHIN 30 DAYS. IF YOU DO NOT WISH TO BE BOUND BY THE BINDING ARBITRATION AND CLASS ACTION WAIVER IN THIS SECTION 15, YOU MUST NOTIFY SNEI IN WRITING WITHIN 30 DAYS OF THE DATE THAT YOU ACCEPT THIS AGREEMENT. YOUR WRITTEN NOTIFICATION MUST BE MAILED TO 6080 CENTER DRIVE, 10TH FLOOR, LOS ANGELES, CA 90045, ATTN: LEGAL DEPARTMENT/ARBITRATION AND MUST INCLUDE: (1) YOUR NAME, (2) YOUR ADDRESS, (3) YOUR PSN ACCOUNT NUMBER, IF YOU HAVE ONE, AND (4) A CLEAR STATEMENT THAT YOU DO NOT WISH TO RESOLVE DISPUTES WITH ANY SONY ENTITY THROUGH ARBITRATION. INFORMALLY THROUGH NEGOTIATION. You agree to negotiate resolution of the Dispute in good faith for no less than 60 days after you provide notice of the Dispute. If the Sony Entity you have a Dispute with does not resolve your Dispute within 60 days from receipt of notice of the Dispute, you or the Sony Entity you have a Dispute with may pursue your claim in arbitration pursuant to the terms in this Section 15. Class Action Waiver. ANY DISPUTE RESOLUTION PROCEEDINGS, WHETHER IN ARBITRATION OR COURT, WILL BE CONDUCTED ONLY ON AN INDIVIDUAL BASIS AND NOT IN A CLASS OR REPRESENTATIVE ACTION OR AS A NAMED OR UNNAMED MEMBER IN A CLASS, CONSOLIDATED, REPRESENTATIVE OR PRIVATE ATTORNEY GENERAL LEGALACTION, UNLESS BOTH YOU AND THE SONY ENTITY WITH WHICH YOU HAVE A DISPUTE SPECIFICALLY AGREE TO DO SO IN WRITING FOLLOWING INITIATION OF THE ARBITRATION. THIS PROVISION DOES NOT PRECLUDE YOUR PARTICIPATION AS A MEMBER IN A CLASS ACTION FILED ON OR BEFORE AUGUST 20, 2011. SNEA Initiation of Arbitration Proceeding/Selection of Arbitrator. If you or the Sony Entity you have a Dispute with elect to resolve your Dispute through arbitration, the party initiating the arbitration proceeding may initiate it with the American Arbitration Association ( "AAA" ), www.adr.org, or JAMS www.jamsadr.com. The terms of this Section 15 govern in the event they conflict with the rules of the arbitration organization selected by the parties. Arbitration Procedures. Because the software and/or service provided to you by the Sony Entity you have a Dispute with concern interstate commerce, the Federal Arbitration Act ( "FAA" ) governs the arbitrability of all Disputes. However, applicable federal or state law may also apply to the substance of any Disputes. For claims of less than $75,000, the AAA's Supplementary Procedures for Consumer-Related Disputes ( "Supplementary Procedures" ) shall apply including the schedule of arbitration fees set forth in Section C-8 of the Supplementary Procedures; for claims over $75,000, the AAA's Commercial Arbitration Rules and relevant fee schedules for non-class action proceedings shall apply. The AAA rules are available at www.adr.org or by calling 1-800-778-7879. Further, if your claims do not exceed $75,000 and you provided notice to and negotiated in good faith with the Sony Entity you had a Dispute with as described above, if the arbitrator finds that you are the prevailing party in the arbitration, you will be entitled to recover reasonable attorneys' fees and costs as determined by the arbitrator, in addition to any rights to recover the same under controlling state or federal law afforded to the Sony Entity you have a Dispute with or you. The arbitrator will make any award in writing but need not provide a statement of reasons unless requested by a party. Such award will be binding and final, excerpt for any right of appeal provided by the FAA, and may be entered in any court having jurisdiction over the parties for purposes of enforcement. Location of Arbitration. You or the Sony Entity you have a Dispute with may initiate arbitration in either San Mateo County, California or the county in which you reside. In the event that you select the county of your residence, the Sony Entity you have a Dispute with may transfer the arbitration to San Mateo, County in the event that it agrees to pay any additional fees or costs you incur as a result of the change in location as determined by the arbitrator. Severability. If any clause within this Section 15 (other than the Class Action Waiver clause above) is found to be illegal or unenforceable, that clause will be severed from this Section 15, and the remainder of this Section 15 will be given full force and effect. If the Class Action Waiver clause is found to be illegal or unenforceable, this entire Section 15 will be unenforceable, and the Dispute will be decided by a court and you and the Sony Entity you have a dispute with each agree to waive in that instance, to the fullest extent allowed by law, any trial by jury. Continuation. This Section 15 shall survive any termination of this Agreement or the provision of Sony Online Services to you."